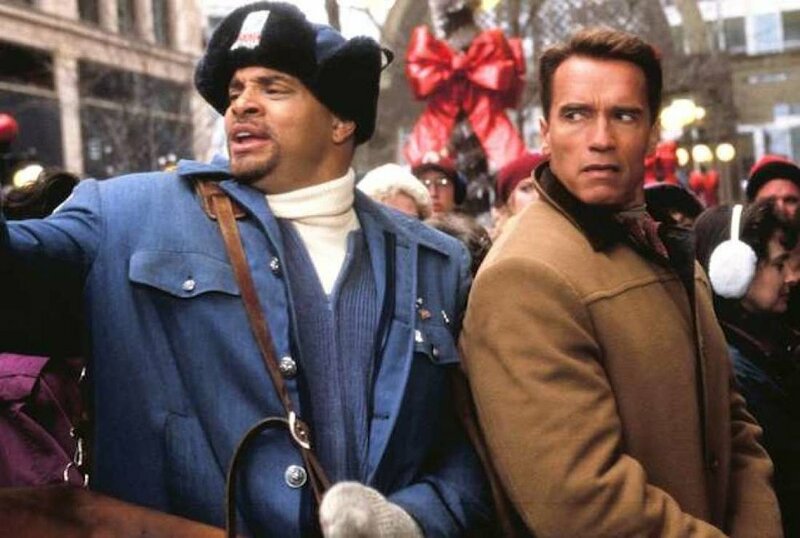 Sure, it's a silly little Christmas movie that is over twenty years old now. But what if I told you there is something deeply disturbing within the film itself. Case in point: Sinbad’s character, Myron Larabee the mailman, is actually an escaped mental patient. Granted, this theory does sound a bit off, but I'll start at the beginning with the most obvious example of Larabee being a mental patient. Why is the mailman out in his mail truck, doing last minute Christmas shopping, while also carrying his mail bag? He does show up early in the film to a toy store’s opening around 9:00 A.M. and usually no one’s mail is delivered by then; therefore, he’s getting a head start before he starts his route, right? Well the mail truck is hardly a personal vehicle, and when was the last time you saw the mail carrier pull through a drive-thru or run some errands before work? I it would make sense to hypothesize this is the vehicle he stole and the disguise he snatched after he escaped. So let's dive into this theory a little deeper. Myron has many inconsistencies within his own story telling at times. He claims to pay alimony to a woman he claims slept with everyone at the post office but him, which goes against the fact that he has a son. He claims to have studied psychology at junior college for a semester, however, his whole knowledge of psychology is, well, poor. He does not speak of psychology in his rant but more of conspiracy theories and clichés. In the end, he comes off less educated and more like Alex Jones. Myron has no problem in resorting to force and demonstrating some sociopathic tendencies. He beats a man to take his costume, pushes people in the parade, punches Booster, and sees no issue in child endangerment. He is impulsive in his behavior and shows aggressive traits, thus possibly diagnosing him with Anti-Social Personality Disorder. At one point, he speaks of his “old man” as he pours a drink. He rants about how he never forgave him and brings up a toy he wanted for Christmas as a child but never got. You can almost feel Myron channeling his old man as he pours that drink, and he no longer comes off as juvenile and chipper, but bitter. His own son is never shown, nor is he ever given a name. So how do we know his son actually exists? Is it not possible then that Myron is trying to relieve his childhood via his disguise as some drunk, paranoid mail carrier? We see how joyous is he by the end of the film when he finally gets a Turbo Man. Thus, the Turbo Man is really for him and not his son. In the end, it's nothing but a theory. But let's be honest—the United States Postal Service would never trust that man.